This beautiful Crate of Flowers handmade thank you card is a great way to express your gratitude. The cheerful flowers will definitely bring a smile to your recipient’s face! Keep reading to learn how to make this pretty thank you card. I love to send blank handmade cards to my eBay customers as a way of thanking them for my purchase. So this month, I was inspired to play around with the Wood Crate die set and the Jars of Love stamp set to create this card. With cheerful flowers popping out all over the place, I hope this card brings a smile to my customers’ faces. Ink Colors: Melon Mambo, Calypso Coral, Daffodil Delight, Garden Green, Crumb Cake, and Soft Suede. 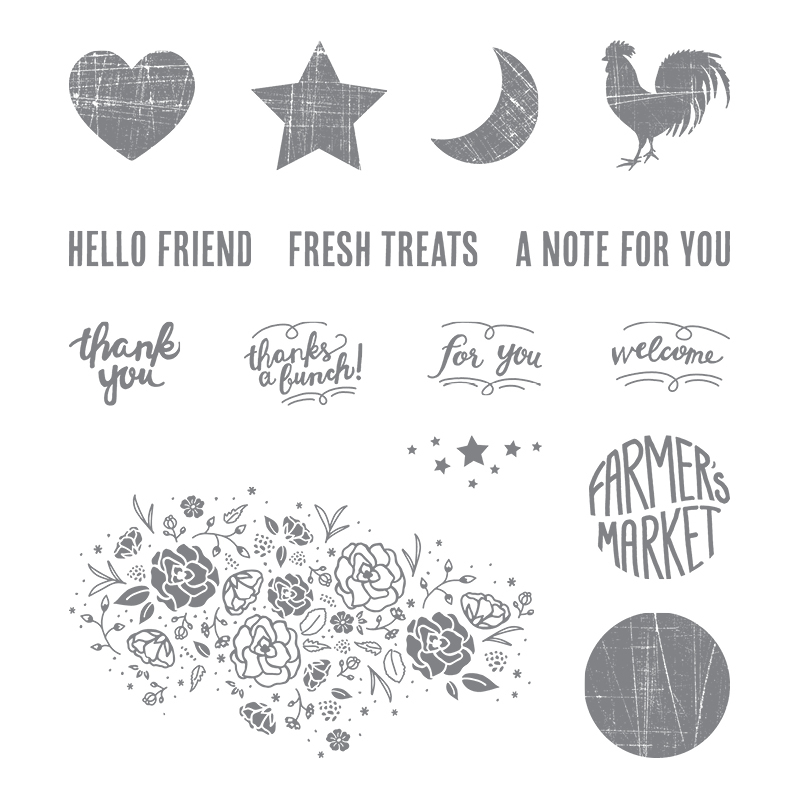 Buy Stampin Up ink pads here! 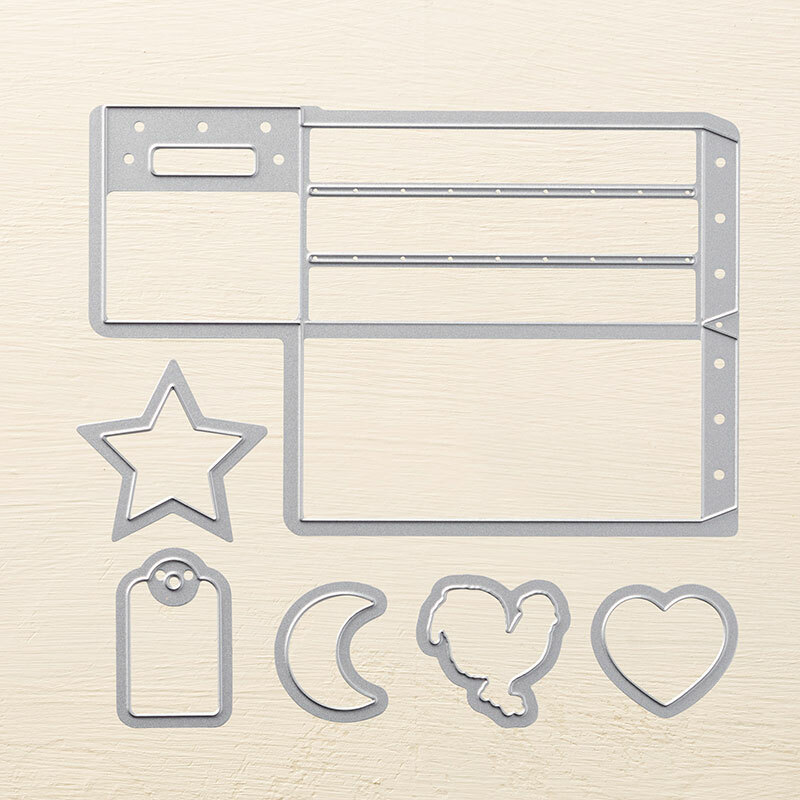 Buy Stampin Up cardstock here! 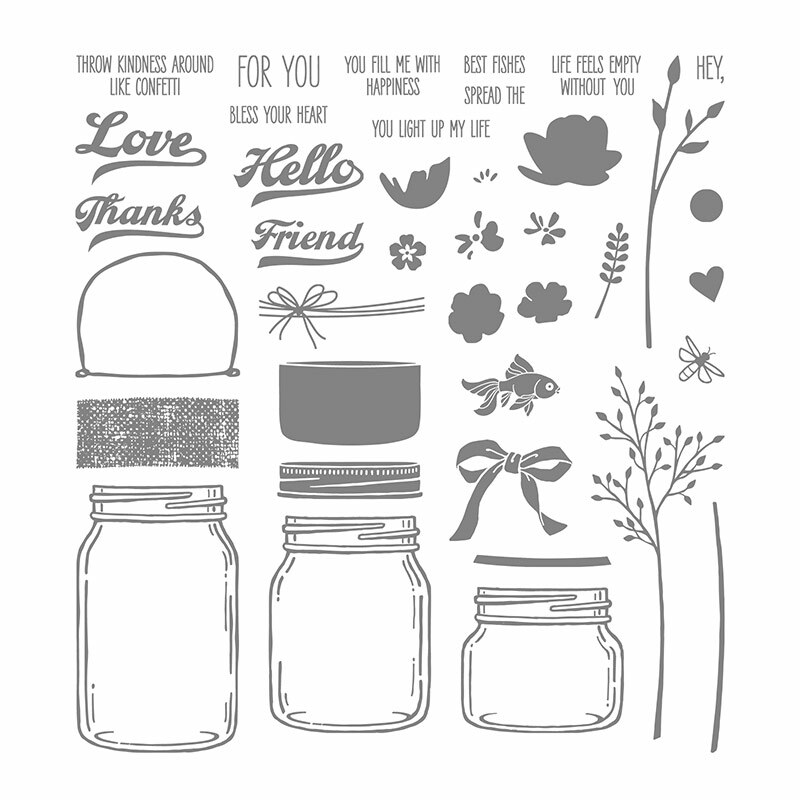 Buy Stampin Up Adhesive here! ✅ No time to make this handmade card now? Click here to pin this tutorial for later! Cut a piece of Crumb Cake cardstock to 8-1/2″ x 5-1/2″. Place the long edge at the top of a scoring board and score at 4-1/4″. Fold in half to form your card base. Cut a piece of Very Vanilla cardstock to 4″ x 5-1/4″. 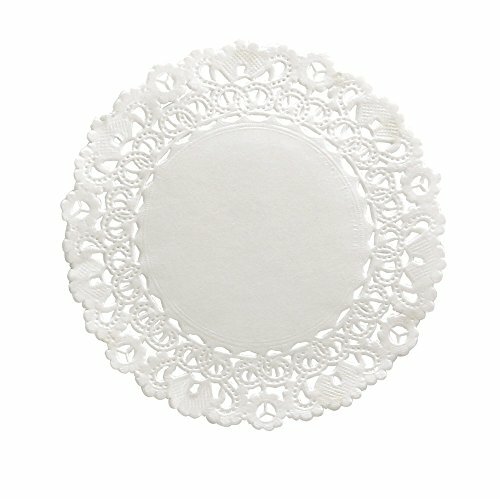 Take a Delicate White Doily and cut a 1 inch piece off. On the Very Vanilla layer, stamp the leafy stem from the Jar of Love stamp set 3 times in Garden Green ink, referring to the above picture for placement. You want the top of the stems about 1/2 inch from the top of the cardstock. I put a scrap paper at the bottom to ensure the stems don’t peek out between the slats of the wood crate die cut. The next images you stamp are all going to be cut out so you can stamp them on scraps of Very Vanilla cardstock. Stamp 2 leafy stems (the thicker ones) from the Jar of Love stamp set in Garden Green ink. Stamp 3 of the smaller fern-like stems from the Jar of Love stamp set in Garden Green ink. Stamp off the solid larger flower base from the Jar of Love stamp set onto a piece of scrap paper. Then without re-inking, stamp it again onto the Very Vanilla cardstock. This will give you a lighter flower that you can stamp some darker accents on in the next step. Repeat this process to make 2 flower images in each of the following colors: Melon Mambo, Calypso Coral, and Daffodil Delight. TIP: Make sure to clean your stamp when you switch ink colors. A Stampin Scrub makes quick work of this! Next you are going to add some details to the larger flowers. Use the coordinating accent stamps (shown in the image above) to stamp on the flower in the same color ink. For simplicity sake, you can put them on the same mounting block and stamp them at the same time. Repeat that for all your flower images. Next you are going to be using the stamps with 2 flower images on it. You need the base stamp and the accent stamp. Start with the base stamp and stamp off once on scrap paper. Then without re-inking, stamp the image again on the Very Vanilla cardstock. Repeat this process 2 times in each of the following colors: Melon Mambo, Calypso Coral, and Daffodil Delight. Since there were 2 flower images per stamp, you will end up with 12 flower images. Next stamp the accent stamp over top the flower images, making sure to line up the accents with both flowers. Use the same color of ink that you used to stamp the base layer. Repeat that for all the flower images. 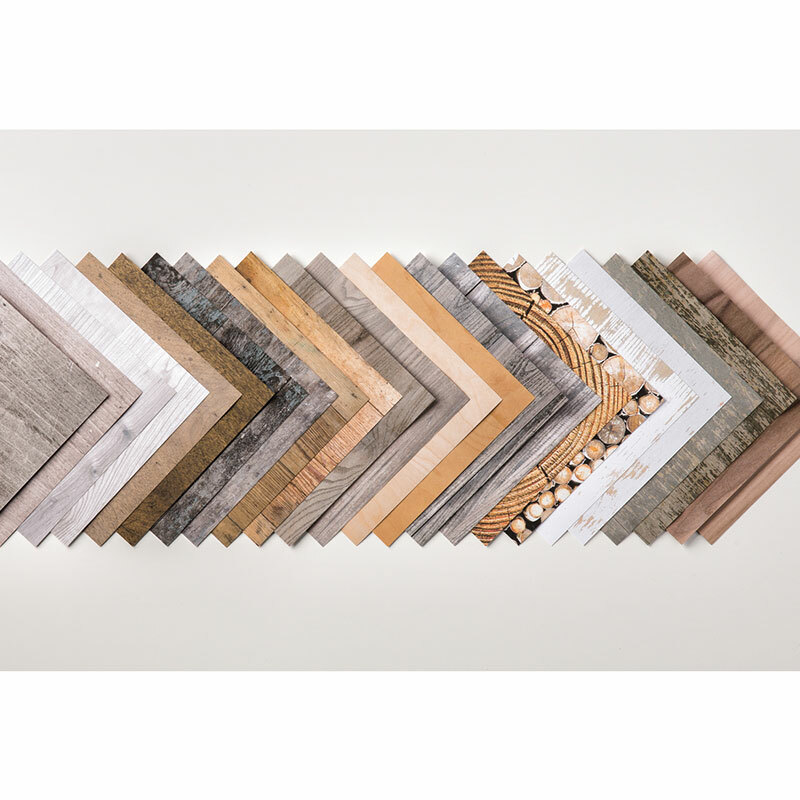 Use the Wood Crate die to cut out a crate from Wood Textures designer series paper. Use a paper trimmer to cut off all the sides so only the front of the crate remains. Use the tag die from the Wood Crate die set to cut out the Thanks a Bunch sentiment. 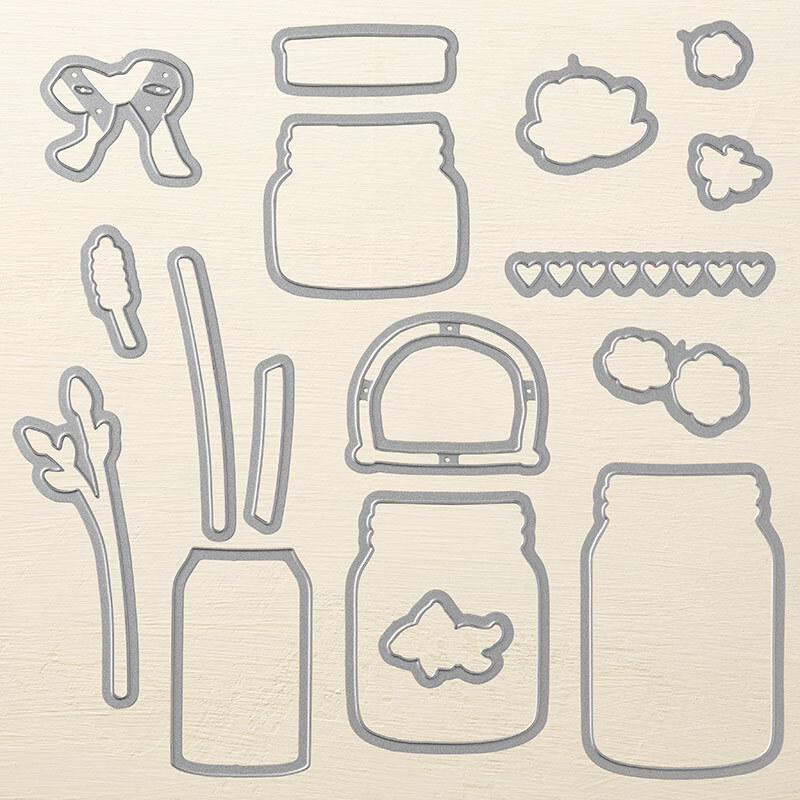 Use the leafy stem die from the Everyday Jars die set to cut out the 2 flower stems. Use the corresponding flower dies to cut out all the flower images. Add Adhesive to the back of the Very Vanilla cardstock layer and stick down to the card base. Adhere the crate to the card, placing it about 1/4 inch from the bottom of the Very Vanilla cardstock. Use a Fine Tip Glue Pen to adhere the piece of doily to the top of the crate. Play around with the placement of the die cut flowers and and die cut stems until they are arranged as you like. After you are happy with the placement, use Snail Adhesive to stick the stems, larger flowers, and medium sized flowers down to your card. Use Mini Stampin Dimensionals to stick the smaller flower die cuts down to your card. Cut a 9 inch length of Linen Thread and thread it through the hole in the tag. Tie it into a bow. Add Mini Stampin Dimensionals to the back of the tag and adhere it to the top left side of the crate. Want to make some of these pretty Crate of Flowers handmade cards? Purchase the Wood Crate die set here. And remember if you place a $50 (before tax and shipping) order and use the current host code, I will send you a free gift! See the sidebar for the current month’s gift and host code. If you are interested in purchasing this die set, be sure to check out the rest of my projects using the Stampin Up Wood Crate die set while you are here. I love this die set – it is so versatile! While you are here, be sure to check out the rest of my easy handmade card ideas. Until next time, happy crafting!